We have recently introduced Russian Lashes at Elaje and they are fast becoming one of our most popular services! So, what are they? Russian lashes get their name from a technique from Russia – as the same suggests. It involves placing a small fan of multiple lashes on each of your own natural lashes to literally multiply them by x4 or even x6 times! (This is also where the 4D and 6D lash terminology comes from). With all these extra lashes the appearance is a beautiful, full volume feathery look. They can also be varied by how long/short/full you want them to be thy come in a wide variety of length and curl. The Varia and Tahitian Feathering give a more natural finish whilst the classic Russian layering is for those wanting that glamorous, super full look; so there’s something for everyone! 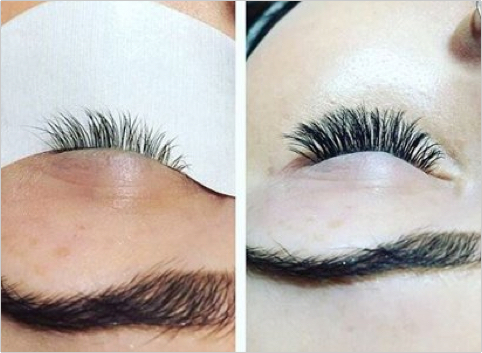 Let our experienced beauty therapists help you decide the right lashes for you.